While living in Tampa if I ever had a business meeting or had time to catch up with friends I’d always meet at a new cafe. Recently I have cut down on my spending. Cutting back means less dining at cafes. I absolutely adore the ambiance of a small hidden cafe. However, just because I don’t go to cafes much doesn’t mean I can’t take the cafe home. As Krissy J, I think I have formed a habit of doing everything with a lavish level of style…even if it means preparing lunch lol. So this week I created two cafe like meals. For breakfast I created a tropical parfait. 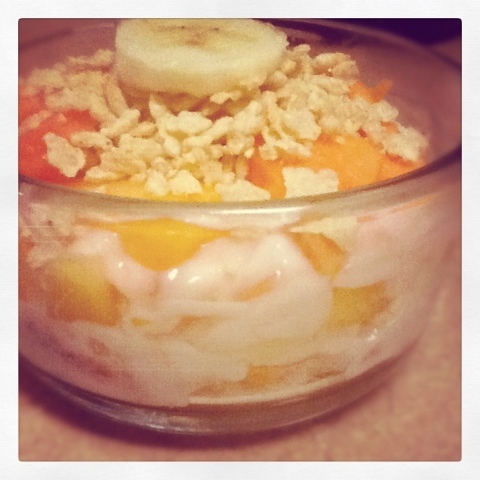 Using bananas, papayas, melon, strawberry yogurt and Special K, I layered a yummy breakfast treat. For lunch I created a chicken salad using a lettuce blend and a can of chicken salad. I spiced the chicken salad with a table spoon of store bought salsa, teaspoon of olive oil mayo, red pepper flakes and a dash of garlic. 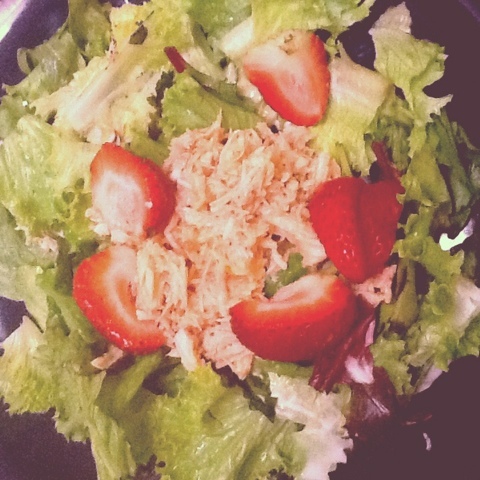 I topped the chicken salad blend with chopped strawberries. It was scrumptious! 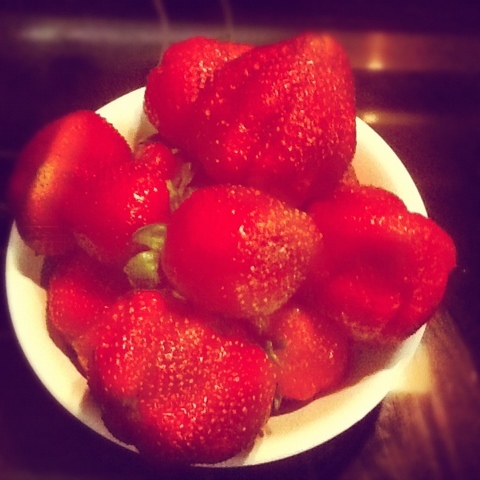 With both meal I had strawberries on the side. I purchased them at Publix. They were so good! Both recipes were easy and affordable…Who says you can’t bring the cafe home?